Lewis Hamilton described the "surreal" achievement of breaking another of Michael Schumacher's Formula 1 records with his victory at the Spanish Grand Prix. 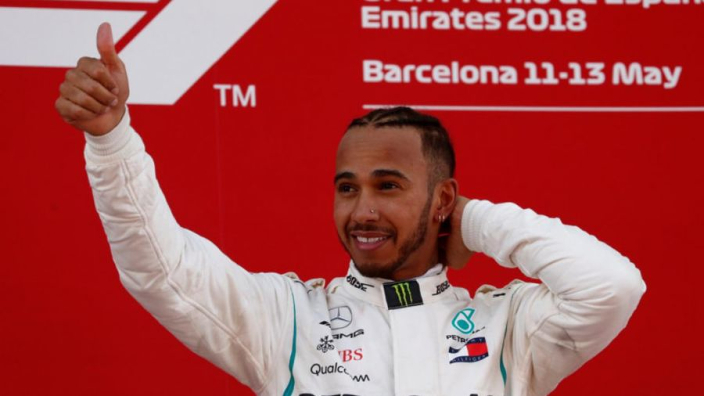 Hamilton took victory from pole position in Barcelona, the 41st time he has done so in his career, eclipsing the previous benchmark of Schumacher's. Hamilton broke Schumacher's record for pole positions in F1 last year and his Saturday success at the Circuit de Catalunya took him to 74 in total, now six more than the German great. Schumacher's 91 grand prix victories and seven world championships are still a way off for Hamilton, on 64 and four respectively. 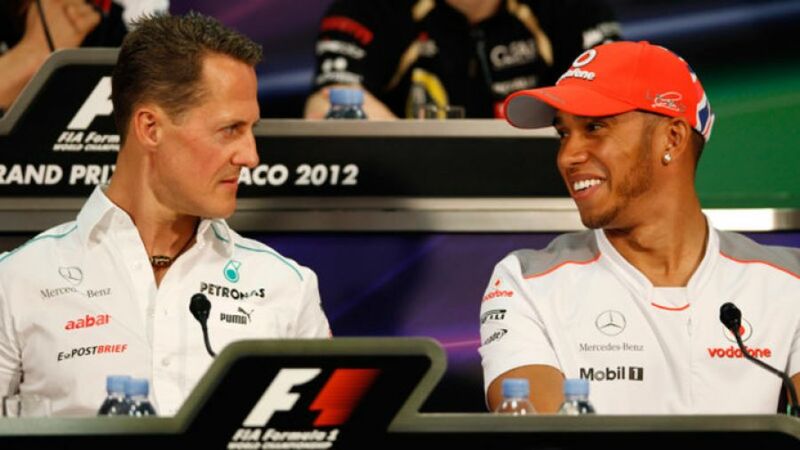 Mercedes chief Toto Wolff said in pre-season that Schumacher's records had become a goal for Hamilton, who has largely surpassed the statistical achievements of his hero Ayrton Senna. In formed of his latest record, Hamilton said: "It's still very surreal. "It just doesn't register because I remember like it was yesterday, sitting at home, playing this computer game as Michael! "Literally, on the Saturday and Sunday, there was this game that you could do the whole Thursday, Friday practice and then Saturday qualifying and everything like that, and I used to do the whole process through the weekend on this computer. I didn't have a steering wheel, I did it on two keys and I remember playing as Michael, so it's just very surreal to think that I'm… it just still is very, very surreal to think that every now and then I keep coming up against Michael in terms of records and it just reminds me of just what a great he was. "It's taken a long time to be where I am today and he has some serious records and it's hard to beat a lot of these records that he had so to match it… it's always an honour when his name is brought and mine is brought up at the same time."